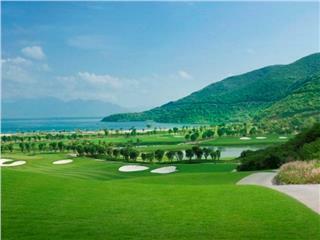 Vinpearl Resort Nha Trang, one of the best resorts in Nha Trang, offers guests many activities and recreation. Resting in the resort, guests can entertain at Amusement Park, play water sports, or just sunbathe and relax on shore of picturesque beaches. Vinpearl Resort Nha Trang is locatd in Hon Tre Island, Nha Trang City. From Cam Ranh International Airport, it only takes 40 minutes by car and 7 minutes by speed boat to arrive the resort. Setting foot in a speed boat to travel from the mainland to the island, you can take a deep breath enjoying cool fresh air, admire the picturesque sceneries, and start unexpected and interesting journey. Make up room daily, from 8am - 5pm. With regard to activities and recreation, Vinpearl provides a wide range of choices to maximum your pleasure and comfort when residing in the resort. Specifically, you can play outside sports (beach volleyball, archery, jogging, cycling), indoor games (table tennis, billiards), and water sports (water motor boat, surfing, parachute jumping, sailing boats, canoeing, fishing, banana boats). On the other hand, you can exercise at well-appointed gymnasium to keep your training habit and stay healthy. 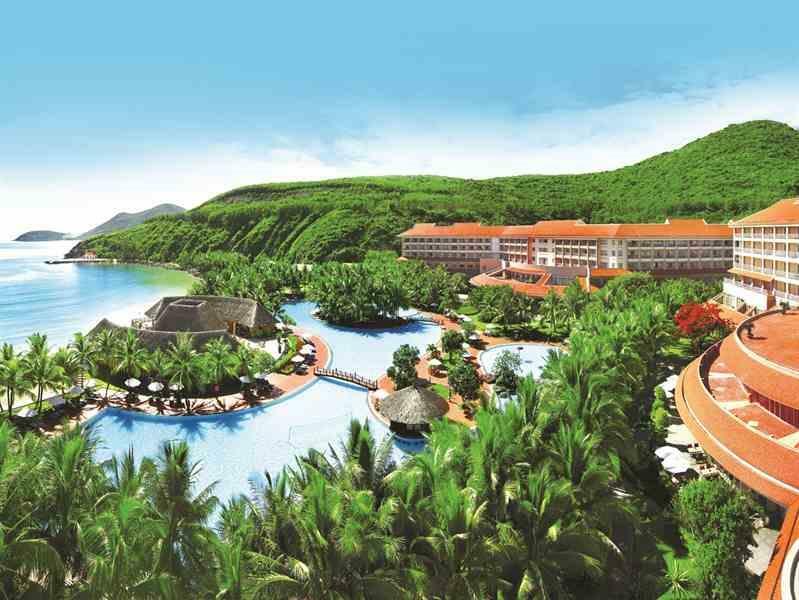 Besides, the highlight that makes the resort different from other resorts in Nha Trang is its Amusement Park. In Vinpearl Amusement Park, you can play a variety of exciting games. To meet the culinary demands of guests, Vinpearl Resort Nha Trang, one of 5 star resorts in Nha Trang, has lavish restaurants and stylish bars with excellent chefs and bartenders and friendly waiters/waitresses who are always pleasure to cater your requests. Orchid Restaurant serves guests with a great Buffet menu with approximately excellent 100 dishes. Enjoy special international dishes at the romantic Beachcomber restaurant on the beach, an open space filled with sea air and wind will waken your every sense. Separately situated on a cliff overlooking Nha Trang bay, an ideal place for romantic dinners. This restaurant offers Asian dishes and dishes from fresh seafood in the evenings for booking in advance. This is a perfect space to sip some drink and rest and talk. Music bands will entertain you every night from 20:45 to 23:30 (except Saturday). The cancellation policy is depending on the package that you book. For detailed information, please do not hesitate to contact with us. - Accommodation is free for 1 child under 4 years sharing existing bed. Children from 4 to under 12 years old (without extra bed) are charged. 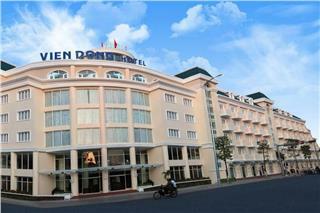 Rates are subject to 5% service charge subject to 10% VA: VND USD $33/person/night for children. Children from 12 years old and older are charged the adult rate. Being known as one of the most beautiful cities in Vietnam, Nha Trang has many things for tourists to explore. When choosing Vinpearl as your accommodation, you can visit Truc Lam Pagoda, Nha Trang Bay, Van Phong Bay, Cam Ranh Bay, Nha Phu Bay, Po Nagar Cham Towers, Thap Ba hot mineral spring, Institute of Oceanography, Alexandre Yersin Memorial Sites, Bao Dai villas, Phu Vinh ancient village, Dien Khanh Citadel, Dai Lanh Beach, Doc Let Beach, Orchid Stream, Dam Mon, Yangbay waterfall, Hon Mun Island, Yen (Salangane) islet – Hon Noi, Tri Nguyen, Hon Tam Island, Dam Bay gulf, Hon Chong (Chong Rocks), and Hon Ong. Being defined as one of the most luxury hotels in Nha Trang, Sheraton Nha Trang Hotel & Spa features with advanced amenities like outdoor infinity pool, fitness center, lounge, etc. 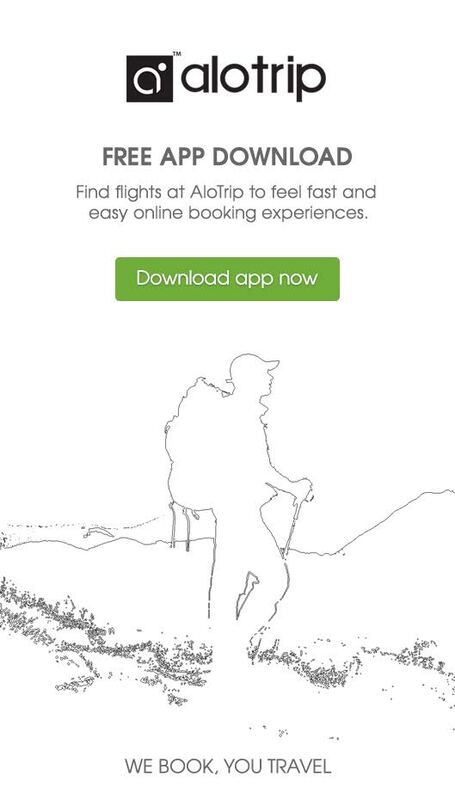 with an objective of bringing the most wonderful holiday for travelers. Having professional and dedicated staffs and the hotel’s motto “Yes, I can”, Sunrise Nha Trang Beach Hotel & Spa has brought its clients a wonderful stay. With 95 percentage of customer’s satisfaction, the hotel was awarded Expedia Insiders' Select 2014. 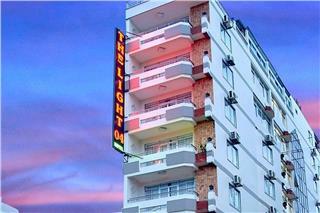 The Light 4 Hotel Nha Trang is a good dwelling place situated at the heart of Nha Trang City. 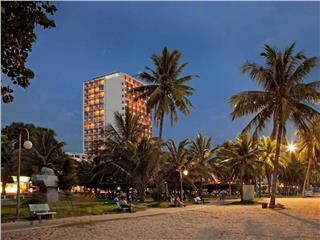 Just 5 minutes stepping down from the hotel, guests can enjoy stunning sceneries of Nha Trang beach. 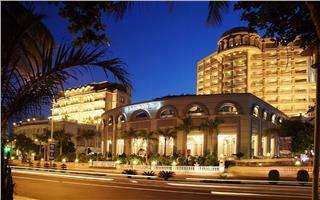 This is one of three star hotels in Nha Trang. As being one of the best 4 star Nha Trang hotels, Novotel Nha Trang Hotel is your best choice with a reasonable price and international quality of services. 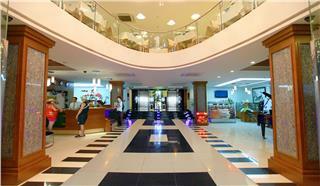 With a prime location on Tran Phu Street, the hotel facilitates guests to visit other attractions. Located at the quite corner of Tran Hung Dao Street & Le Thanh Ton Street, 100 meters from the beach, Vien Dong Hotel is one of 3-star Nha Trang hotels. The hotel has 173 guestrooms, 2 restaurants, 2 conference rooms, outdoor swimming pools, and a garden. 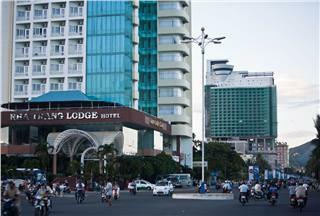 With an affordable rate from 75 USD per night, Nha Trang Lodge Hotel is a great choice for all guests. 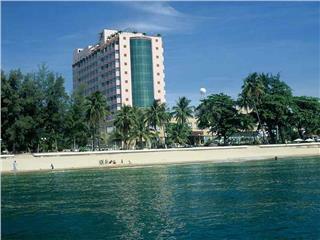 The hotel possesses modern and convenient facilities along with friendly and hospitable staff. Guests will enjoy the most comfortable stay here. 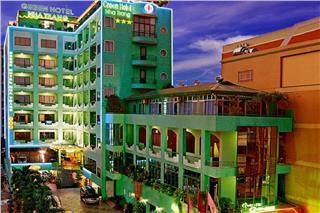 Being known as one of budget hotels in Nha Trang, Green Hotel Nha Trang is a 7-storey building conveniently located in the Hung Vuong Street. 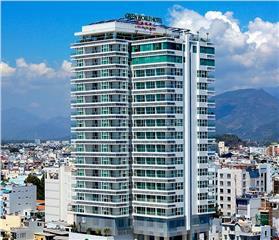 Owning a favorable location, Green Hotel Nha Trang promises to be a great base to explore Nha Trang City. Green World Hotel Nha Trang is an ideal accommodation located in the city center of Nha Trang, one of 29 best bays in the world. 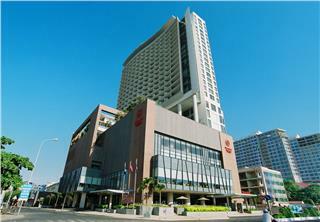 It has 21 floors with 201 luxury and spacious rooms and suites. The average rate of the hotel’s room is from 94 USD/night. Yasaka Saigon Resort Hotel & Spa in Nha Trang city center is one of the best choices for enjoy a great view of sea and city, along with luxurious services. Besides 200 rooms and suites, the hotel also meets guests’ demands in recreation and traveling. 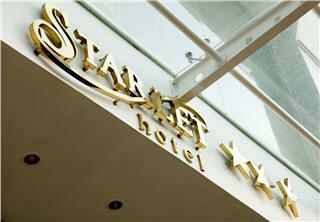 Just a few minute walk from breathtaking Nha Trang Beach, Starlet Hotel Nha Trang is a perfect location for travelers. Commanding breathtaking views of the sunset, this hotel is one of ideal hotels in Nha Trang offering nice accommodation. 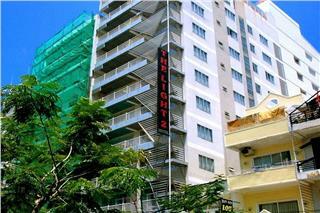 The Light 2 Hotel Nha Trang is one of budget hotels in Nha Trang. The hotel’s room rates are fluctuating from USD 50 – 70. With an ideal location and facilities to match, The Light 2 Hotel Nha Trang hits the spot in many ways.